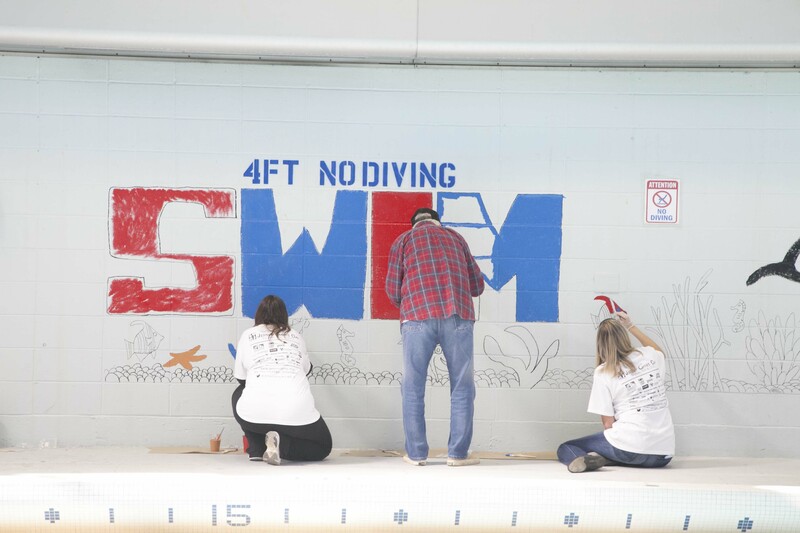 These Jersey Cares Day volunteers made a splash at this school in Jersey City, NJ with this Swim mural. 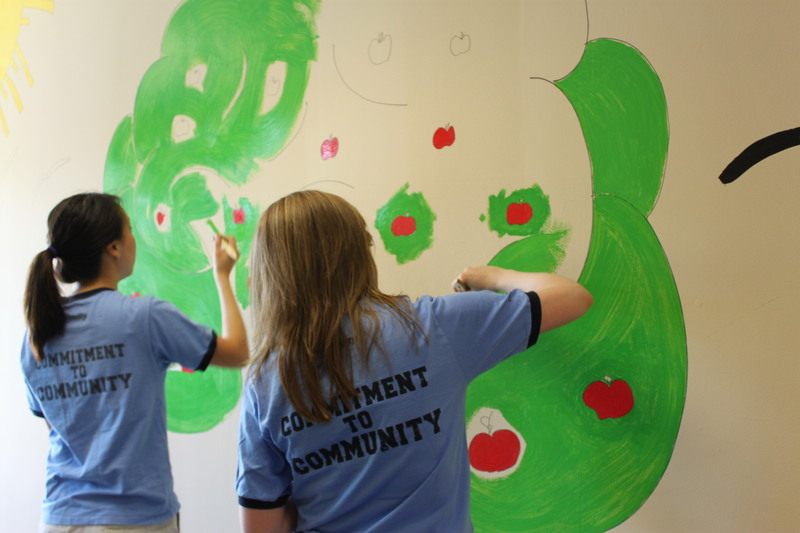 Our volunteers are the apple of our eye and the core of what we do! Get involved with Jersey Cares today! Click here to learn more. The story about the small garden didn’t have much of a plot! 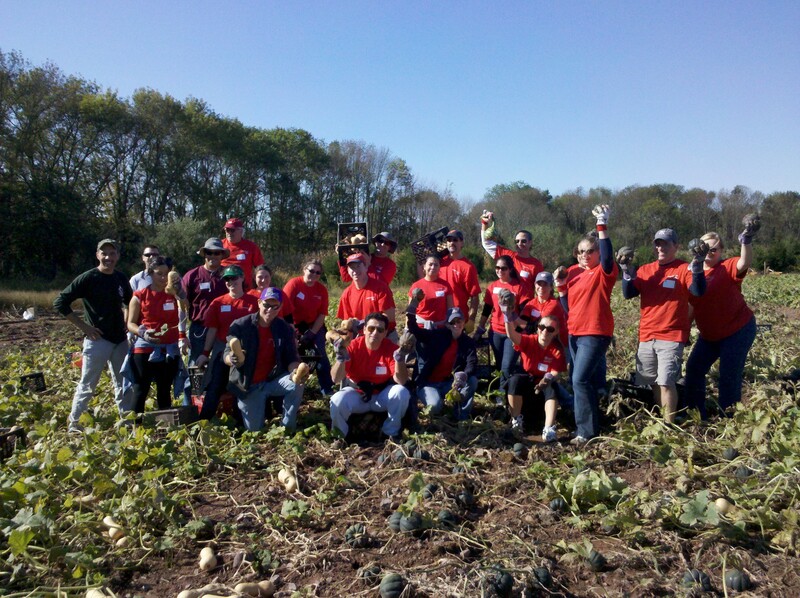 Luckily these Imclone volunteers had a lot of ground to work with picking squash for an agency in Pittstown, NJ! 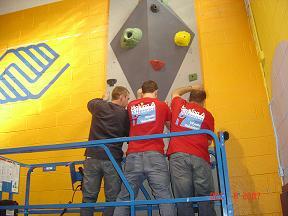 You would have to become much boulder to try to climb this rock wall! These volunteers didn’t take for granite the time they had helping out this agency! They really rocked! What’s the difference between a poorly dressed tricycle and a well dressed bicycle? A tire! 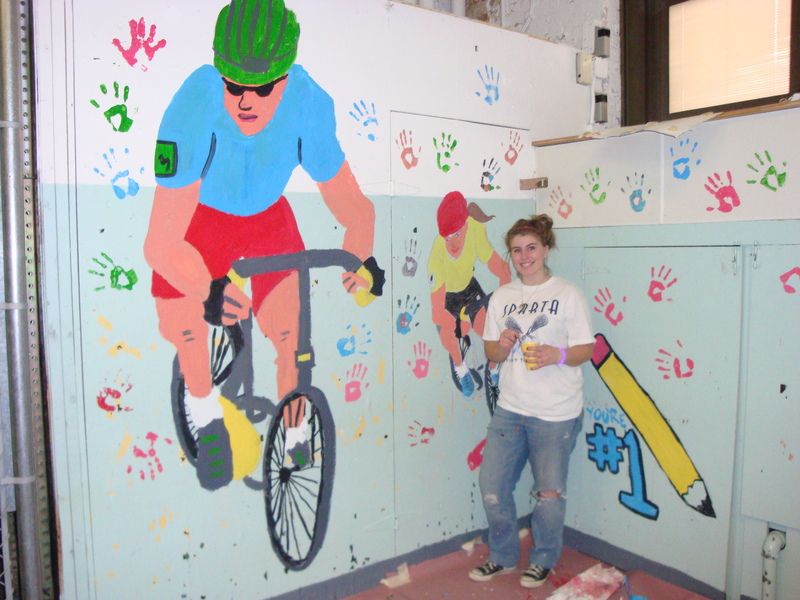 This volunteer did a wheely good job with this bike mural! 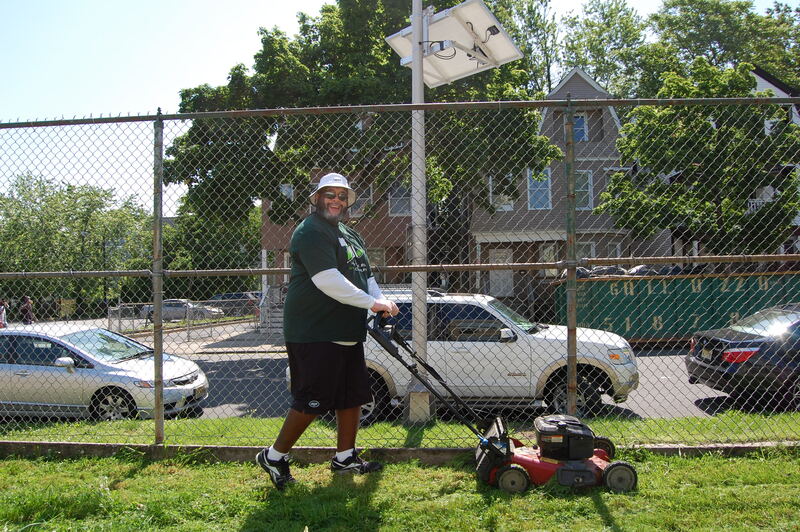 This NY Jets volunteer uses cutting-hedge technology to mow the lawn! How do you use an Egyptian doorbell? Toot and come in! Like to draw? 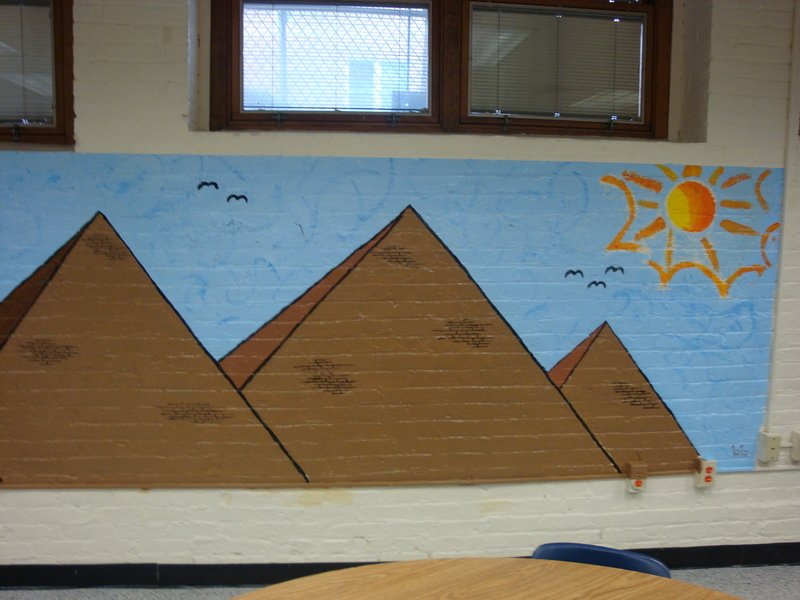 Then volunteer as one of our Mural Artists! Click here to learn more.